Low-Frequency Response of BJT Amplifiers We have learned that the lower cutoff frequency of an amplifier is approximately equal to the larger of (CI) and NC), where where B is the bandwidth, in hertz. 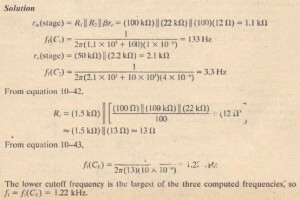 Equation 10-39 is used when the lower cutoff.frequency is 0 (dc) or very small, so that the bandwidth is essentially the same withe upper cutoff frequency The relationship is exact if the high-frequency response beyond cutoff is the same as that of the single RC low-pass network (Figure 10-25). Example The specifications for a certain oscilloscope state that the rise time of the vertical amplifier is 8.75 ms. What is the approximate bandwidth of the amplifier? 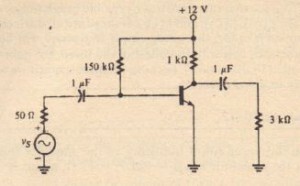 Solution From equation 10-39,In a BJT amplifier. 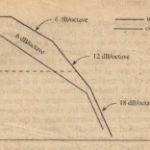 the term appearing in equation 10-40 is r (stage). the resistance seen by the source when looking into the amplifier. 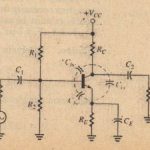 Its value depends on the transistor configuration. 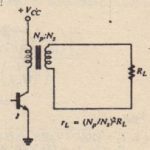 the bias resistors, and the values of the transistor parameters. 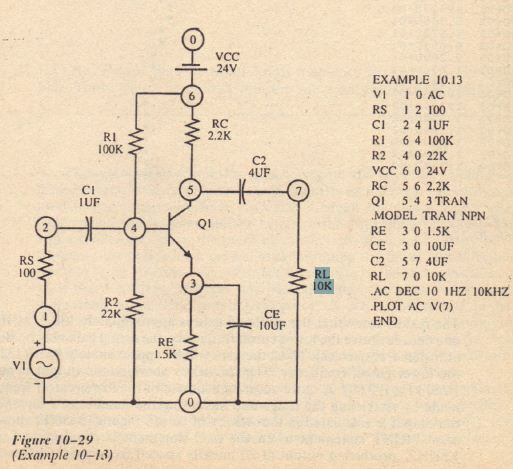 Similarly r in equation 10-41 is r(stage) and its value depends on particular amplifier characteristics. 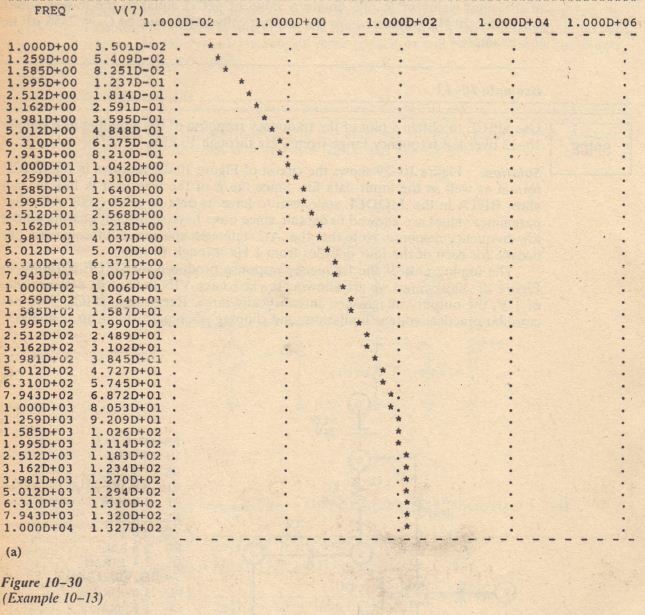 The next example illustrates the application of equations 10-40 and 10 41 to determine the lower cutoff frequency of a fixed-bias common-emitter amplifier.Find the lower cutoff frequency of the amplifier shown in Figure 10-26. 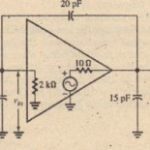 Assume that the resistance looking into the base of the transistor is 1500 H and that the transistor output resistance at the collector r is 100 kH. Solution. Since roll(stage) = (ISO kl) II (1.5 kH)= 1.5 k we have. from equation 10-40. Figure 10-27 shows a common-emitter amplifier having an emitter bypass capacitor Cf. designed to eliminate signal degeneration, as discussed in Chapter 6. 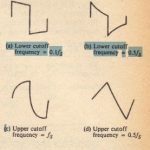 Recall that ac signal degeneration occurs in the absence of the bypass capacitor because of the ac voltage drop across RF At sufficiently high frequencies the reluctance of the capacitor is negligible so the emitter is effectively at ac ground and there is no signal loss across RI At low frequencies, the reluctance of C£ can become significant, to the extent that the voltage gain is reduced. Thus, we can define a lower cutoff frequency due to CE, NCE) that affects the amplifier’s low frequency response in the same way as the coupling capacitors C and C If the coupling capacitors arc large enough to have negligible effect, then the gain will fall to 12/2 times its midland value at the frequency where the repentance of Ct: equals the resistance R, looking into node A in Figure 10-27 R is the same as the output resistance of. an emitter follower and was previously expressed as (stages (see equation 5-64):Figure 10-27 lower cutoff frequency due to tire bypass capacitor, f is the frequency where the repentance of Ct; equals the resistance R,.We see that there arc three possible break frequencies in the amplifier of Figure 10-27( (1)( C2). and fi( C,oJ. If these are all distinct, and reasonably well removed from each other. the lower cutoff frequency will be the largest of the three. 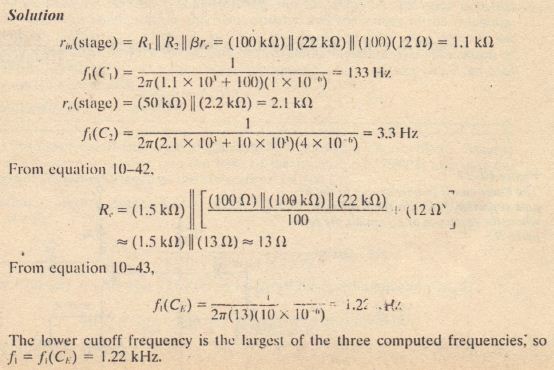 At frequencies below the smallest of the three, the gain will fall off at a rate of 60 dB/ decade (I DB/octave). because all three capacitors will be contributing simultaneously to gain reduction.Find the lower cutoff frequency of the amplifier shown in Figure 1O-2K Assume that the transistor has f3 = 100 = 12 n, and r; = 50 kH. 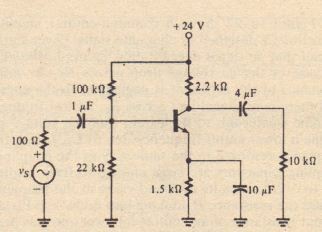 This example demonstrates that the emitter bypass capacitor is generally the most troublesome, from the standpoint of achieving a low cutoff frequency, because of the small value of Re- To obtain a value of fl(Cr;} equal to the lowest audio frequency, 20 Hz, would require the impractically large value of CE = 2450 ,uF in this example.Use SPICE,to obtain a plot of the frequency response of the amplifier in Example SPICE· 10-12 over the frequency range from 1 Hz through 10 kHz. SO/Util. 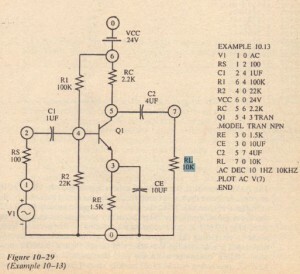 Figure 10-29 shows the circuit of Figure 10-28 redrawn in the SPICE format as well as the input data file. 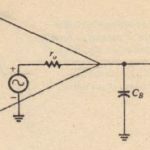 Since the f3 of the transistor is 100, we can allow BETA in the .MODEL statement to have its default value (100). 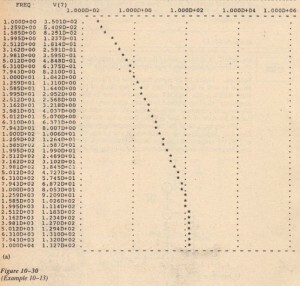 All other parameter values are allowed to default, since none have significant bearing on the low-frequency response. 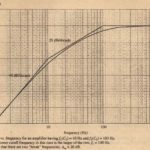 Note that the .AC statement specifies ten frequencies per decade for each of the four decades from 1 Hz through 10kHz. The log-log plot of the frequency response produced by SPICE is shown in Figure 10-30(<1). Since we are allowing the ac source YIN to have its default value of 1 Y, the output voltages are unrealistically large. Recall that SPICE does not consider practical voltage limitations and clipping when performing an ac analysis.